TheGreenCult.nl celebrates it's 5th anniversary! TheGreenCult.nl has known a dynamic life. It was among other things a forum, a site for friends and a Modding website. Now, 5 years since it was founded, the last changes will be made. 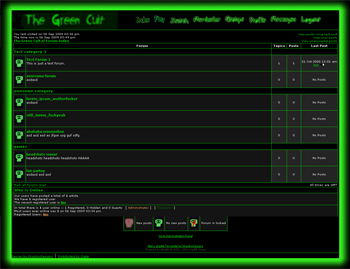 TheGreenCult.nl was brought to life on 12 september 2004 to function as a site for friends. It contained profiles of all my friends. 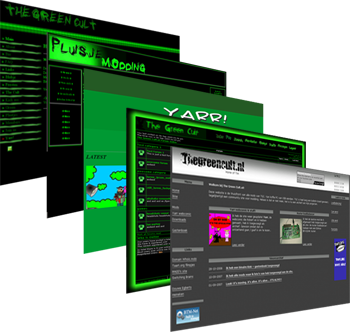 The domain also had a few side projects, like Yarr; the webcomic I made with M42D, and a website about Modding. The website switched to a forum after the profile site had it's best run. The forum was the most succesful of all the TGC transformations. A website with profiles and info on parties and stuff is all very cool, but not very dynamic. A forum is in that respect a great medium for friends to talk to each other more often. Unfortunately a hard disk crash ended the forum existance very swiftly. 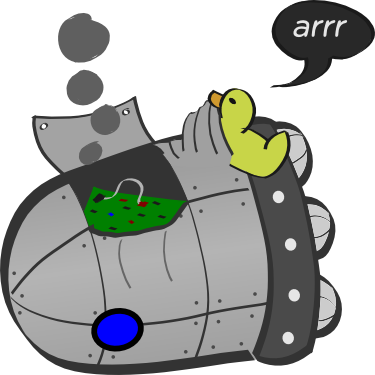 After awhile when I finally had some money to fix my server I brought the website up again. This time to contain my mods and projects. The domainname is not very suited for this purpose. However I didn't use it anymore and I couldn't think of a more suited domain name. In the end the website was fairly reachable through Search Engine Optimizing. Several thousand visitors have visited TheGreenCult.nl to view Mods, in which the Beer Case PC and the Coffee PC were most popular by far. Over the last 2 years the website had an average of 10 to 15 unique visitors per day, of which 92% came to the site through search engines. ByteMods.nl and ByteMods.com are launched to bring mods, howto's and downloads to the world. TheGreenCult.nl will be turned into a forum, friends only. Puh!